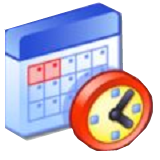 A full-featured date time calculator, used to get result date, days between dates and more. Provides Decimal and Thousands Separator for Numeric Fields. Please note: Single License (1 PC) with 1 Year upgrades is included in this version. Click here to get a VERY BIG discount for other licenses with Lifetime Upgrades on the promotion day!